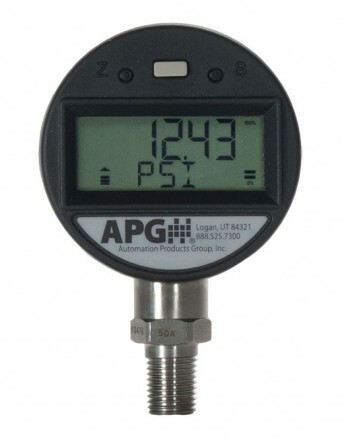 The PG5 is a general purpose digital pressure gauge designed to reduce measurement inaccuracy due to lack of resolution, drift or vibration. Menu options are available and can be navigated quickly using the three buttons located on the front of the unit. 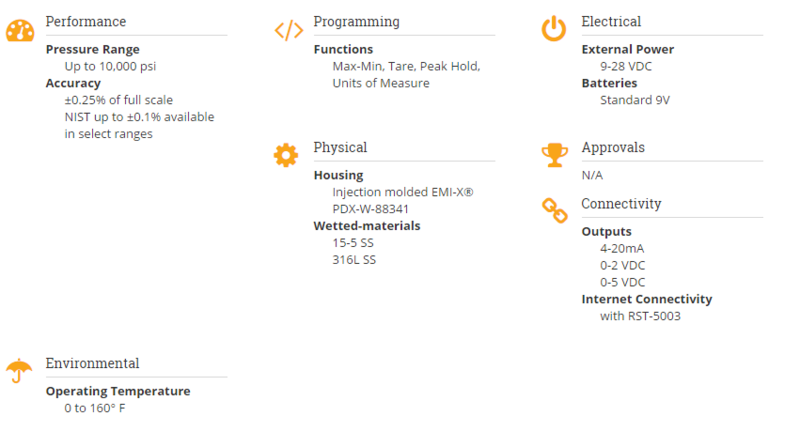 Multiple units and output features can be easily accessed. Output options area also available including 4-20ma, 0 - 2 VDC, 0 - 5 VDC.